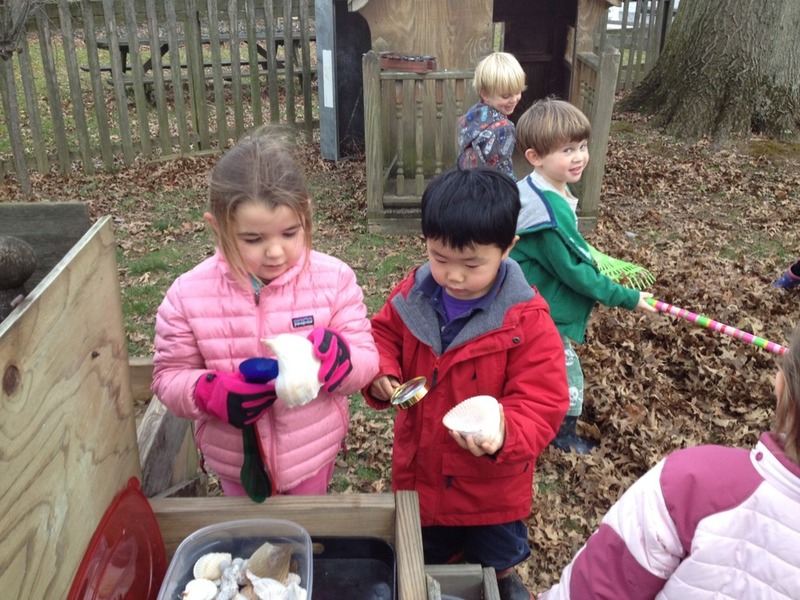 The Butterflies have enjoyed spending time in the Peace Garden. 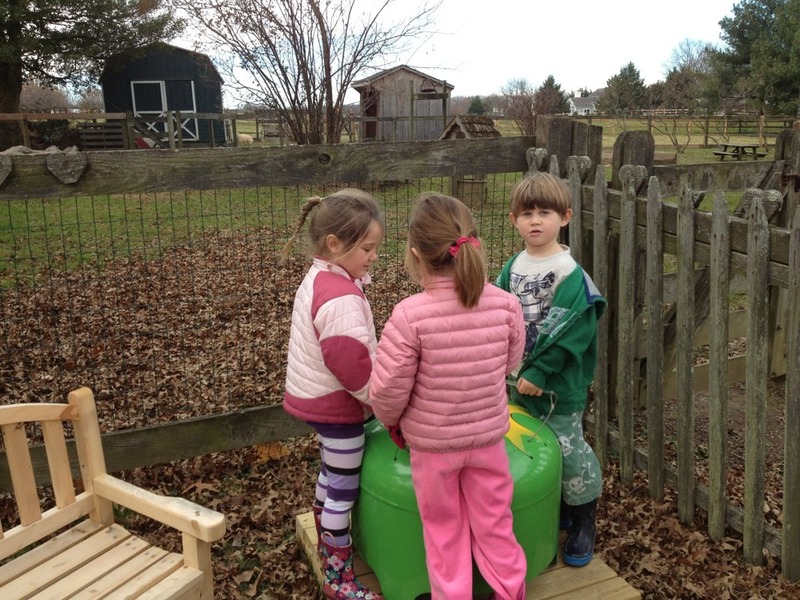 Unlike the other play yards, the Peace Garden is a place for quiet voices and calm demeanors. 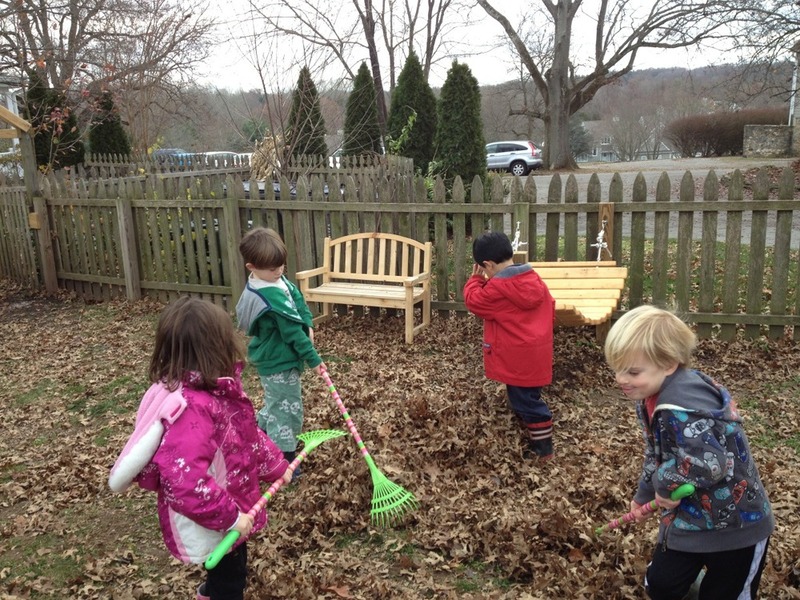 The children played the instruments, raked leaves, rested in the little house and explored the activity boxes. 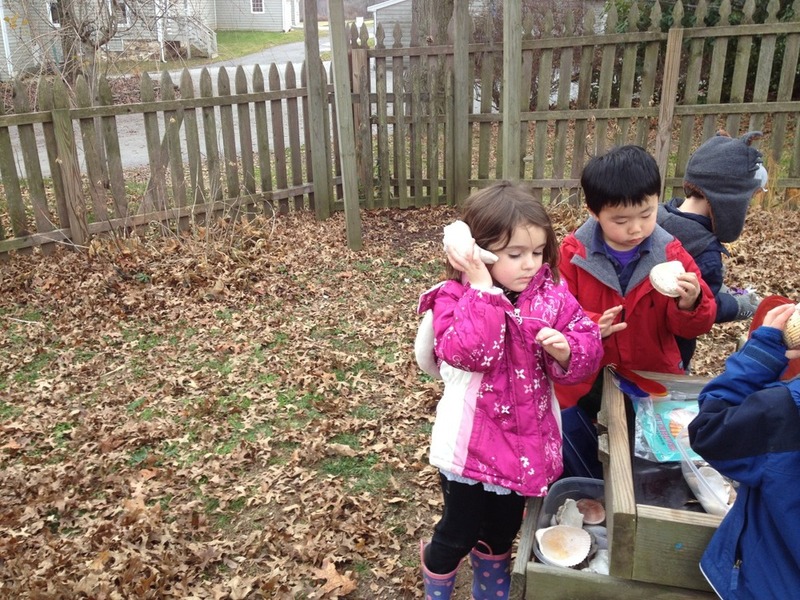 The box with the seashells was a favorite.